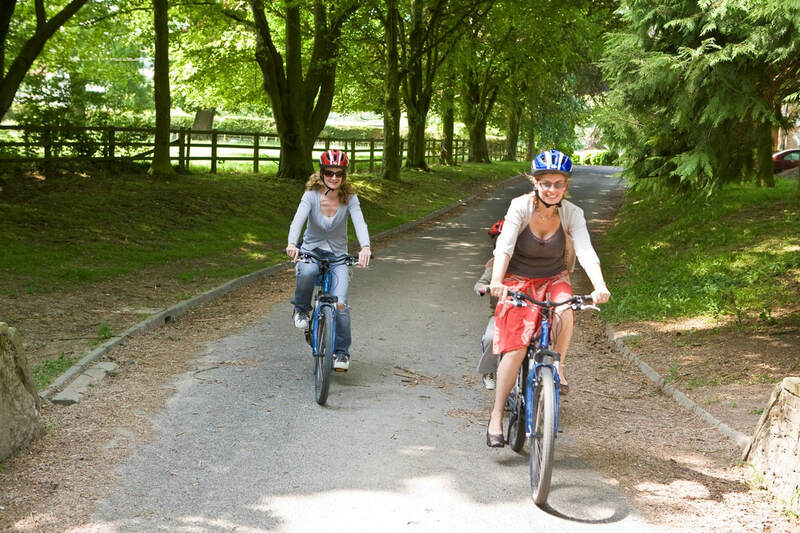 ​Meon Springs, nestled beneath the South Downs, in rural Hampshire is a great venue for cycling on road or off. Bring your E-Bike for a tour round the local villages and pubs. Try some of the Mountain Bike Trails at Queen Elizabeth Country Park. Challenge yourself to some lumpy road cycling in the local area. You can either bring your own bike or, if you are staying with us, hire one of ours. Meon Springs Mountain Bikes come in a number of shapes and sizes. Please click the button below to book online. Routes can be downloaded from this page. Communication and support offered, if required during your hire. This is an easy two mile route around the valley bottom (no hills) that is great for families, with children. Being a farm, you will likely see a cow or two in the fields and there may be some fences you have to negotiate. A good route through two very pretty villages. Resources en route include three pubs, two churches and one cafe. A good route, with an excellent destination pub. Good for a Sunday Lunch outing. A nice varied route, taking in a section of the disused railway line between West Meon & Wickham. This is a 21 mile route to and back to QE park, including a tour around the park. It is 300m of climbing, so only for the fitter cyclists.. If you are choosing this option, make sure that you hire one of our disc brake bikes.